A world-renowned marine research institute in the UK can now transfer huge volumes of data to its Dell EMC ECS storage platform, without having to worry about throughput restrictions. By using a load balancer from Loadbalancer.org, the organization can back up exceptional volumes of data, day after day, and ensure vitally important research information is safeguarded for the future. As a leading supplier of medical imaging systems to the NHS, Fujifilm UK needs to be able to install its solutions quickly, support them effectively and ensure that they are available to clinicians 24/7. It is achieving all of these goals by standardizing on the use of virtualized load balancing products from Loadbalancer.org maintenance. A leading provider of cloud services for IT resellers is using Loadbalancer.org’s Enterprise Ultra appliance to ensure the high availability of its hosted Microsoft Exchange services, which are used by 130,000 users. By replacing four multi-vendor load balancers with a single load balancer platform, the company has also reduced complexity in its IT environment and saved up to five hours per month on load balancer maintenance. An IT services provider in South Africa is using Loadbalancer.org solutions to meet customer demand for high availability in Sage Enterprise Management systems. The organization can improve the uptime of this pivotal business application quickly and cost-effectively, as Loadbalancer.org solutions are easy and inexpensive to deploy. The largest Internet Service Provider in Upper Austria depends on Loadbalancer.org’s virtualized solutions to ensure the high availability of its web services. With a site license from Loadbalancer.org, LIWEST can configure services optimally to deliver the best user experience and create multiple test environments to reduce business risk. A highly successful managed IT services provider is using virtualized solutions from Loadbalancer.org to offer sophisticated load balancing capabilities for its clients. By taking advantage of a Loadbalancer.org site license, the company can offer competitively priced and highly scalable services, which is helping it to win new clients and sustain its business growth. 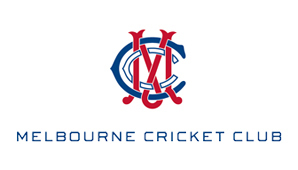 One of the oldest and most prestigious sports clubs in Australia, Melbourne Cricket Club selected Loadbalancer.org to improve the availability and management of its Microsoft Dynamics CRM application. It can now deliver dependable customer services for over 360,000 existing and future members. Reno Diagnostic Center maintains 100% availability of patient data and medical images. To deliver a high standard of care for patients, the well-respected healthcare provider Reno Diagnostic Centers needs to provide its employees, doctors and patients with dependable access to the two business applications that manage patient data and medical imagery. As a leading supplier of financial services technology, Fiserv needs to ensure that its solutions deliver exceptional reliability for banks and credit unions worldwide. It partners with Loadbalancer.org to help it improve the uptime of its business-critical applications and maintain the confidence of its financial services clients. When more and more customers started to ask Netsweeper to recommend a load balancer to accompany its web filtering solution, the organization decided to partner with Loadbalancer.org. Now it can deliver an improved customer experience and target new business leads more successfully. CensorNet provides its Unified Security Service (USS) to companies in over 70 countries, protecting them against a wide range of threats and data loss. Since entering into a partnership with Loadbalancer.org, the company has been able to meet the needs of a wider range of organizations and expand its business opportunities. After experiencing performance issues in its load balancers, Ross Video needed to find not only a more reliable product, but also a more dependable vendor. It selected Loadbalancer.org, and the two companies now work collaboratively to deliver optimal load balancing functionality as part of Ross Video’s broadcast media solutions. When the international service company Serco Group plc took over the operation of IT services for a local authority in the UK, it needed to ensure the reliability of business critical SAP systems. It deployed products from Loadbalancer.org to improve the overall resilience of the SAP environment and deliver the high application availability it promised in its Service Level Agreement. Responsible for hosting e-commerce websites with exceptionally large volumes of user traffic, Catalyst2 needs load balancers that it can depend on. The organization uses virtual appliances from Loadbalancer.org to effortlessly handle peaks in traffic and meet client expectations for high availability. Specialist insurer Ecclesiastical Insurance was setting up an increasing number of load balanced solutions and wanted to reduce administration overheads whilst improving performance. It found a cost-effective alternative from Loadbalancer.org and now relies on Loadbalancer.org’s hardware appliances to optimize the performance and availability of its IT infrastructure. Since 2010, Smoothwall has recommended and installed solutions from Loadbalancer.org as part of its web filtering platforms for customers with up to 100,000 users. Through its strong partnership with Loadbalancer.org, the company can offer high-availability and outstanding support, while optimizing its revenues. With employees spread across ten European countries, BenQ needs to ensure that its email system in Europe delivers high performance and exceptional availability. It installed Loadbalancer.org products as part of a new centralized Microsoft Exchange platform and they work so effectively, they are almost forgotten. DelftDI, a Canon group company, develops, delivers and maintains radiology and patient imaging systems for hospitals across the globe. For more than ten years, it has been recommending and installing products from Loadbalancer.org to ensure the high availability and performance of these crucial medical applications. Whether they are responding to a life-threatening situation in A&E or running an out-patients’ clinic, medical staff at the Northern Lincolnshire & Goole NHS Foundation Trust have IT applications that they can rely on. The organisation uses products from Loadbalancer.org to ensure that critical medical systems are up and running at all times, to support the delivery of fast and effective patient care. When Fluid Networks was appointed to host a cloud-based medical application, they knew just how critical it would be to deliver reliable application performance for thousands of doctors. The company selected solutions from Loadbalancer.org and effortlessly supported a five-fold increase in user numbers over three years. A specialist IT services provider in the education market, Scomis provides hosted application services for over 600 primary and secondary schools across 19 local authority areas. It relies on virtualized load balancing solutions from Loadbalancer.org to help it deliver consistent application performance for over 4,500 concurrent users. 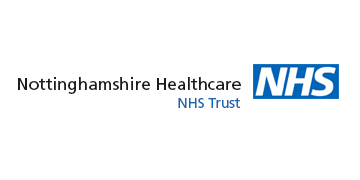 When Nottinghamshire Healthcare acquired 2,200 community-based medical professionals, it needed to find a way to allow these new employees to access data and systems from third-party sites, without jeopardising the security of patient information. It selected products from Loadbalancer.org and can now deliver secure, flexible and reliable remote access to clinical applications from any device, on any network, at any location. Email is the most effective way for education and care staff to communicate essential student-related information between themselves, parents and other care agencies. With the Enterprise R20 load balancing solution from Loadbalancer.org, Sunfield has ensured its email system works effectively and fault-free 24/7, especially at night, when Sunfield’s IT team is off duty. When customers of London-based IT services specialist, Wanstor, started to need more complex hosted services, the company’s load balancing system came under review, especially in high-volume, multi-site, multi-server environments. After consulting with a range of providers and deploying Loadbalancer.org’s Enterprise VA R20 solution, significant improvements were made for service users. Having to process over 2 million vending machine payment transactions per working day across North America, USA Technologies - a cashless payment solution provider - needed a highly robust and reliable way to manage its high volume of web traffic. The company turned to Loadbalancer.org for the answer. Many of the world’s leading media and entertainment businesses rely on mymovies to produce and deliver high-quality video content to enhance their film, TV and broadcast products and services. For over five years, mymovies has been using the same, unchanged, fault-free and low-cost load balancing products from Loadbalancer.org to ensure video content is delivered to its customers when and where they need it. Rapid customer growth had forced Grasshopper - a leading US virtual phone service provider - to overhaul its phone application, but this put pressure on the company’s ability to ensure service performance and 24/7 availability. Grasshopper turned to the Enterprise VA MAX from Loadbalancer.org and since 2009 it has delivered faultless performance, reduced computing resources despite an increase in customers and has become mission critical to Grasshopper’s business operations. One of Europe’s leading research universities, Eindhoven University of Technology, has called on Loadbalancer.org to ensure that its main website - where students, researchers and businesses first interact with the University – is highly available and is fast to navigate. Online retailing is a cut throat business where customer loyalty is by no means assured, a single failure of the website can have serious financial impact and negative publicity. Crocus.co.uk solved their reliability and performance issues of their e-commerce website with the Loadbalancer.org Enterprise R330 appliance.